Did you know 95% of UK skins are actually dry or dehydrated? Does your skin look lacklustre, feel tight & uncomfortable or even have a flaky appearance? As the winter months set in our skin not only has to battle the elements but also heating/air conditioning, excessive party season eating and even those few fateful nights sleeping in your make-up after getting a bit too merry!? (we know we've all done it). However, fear not! 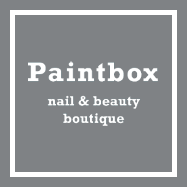 For at Paintbox Nails & Beauty we provide Katherine Daniels Facials & products. Katherine Daniels offer bespoke beauty treatments and their beautiful products are designed specifically for British skin types. This means the products and treatments target all those issues brought about by the British weather and our busy lifestyles. By removing sensitivity, fighting Free Radicals and with every product in their range helping to combat ageing these are the perfect facials/products to be using during winter to make sure you look radiant throughout the festive season. Whether you have a mass of Christmas parties or a Winter Wedding to attend, our Katherine Daniels facials treat both your skin and your soul leaving you feeling refreshed, relaxed and radiant.